Hi, everybody! I’m Georgiana, founder of speakenglishpodcast.com. 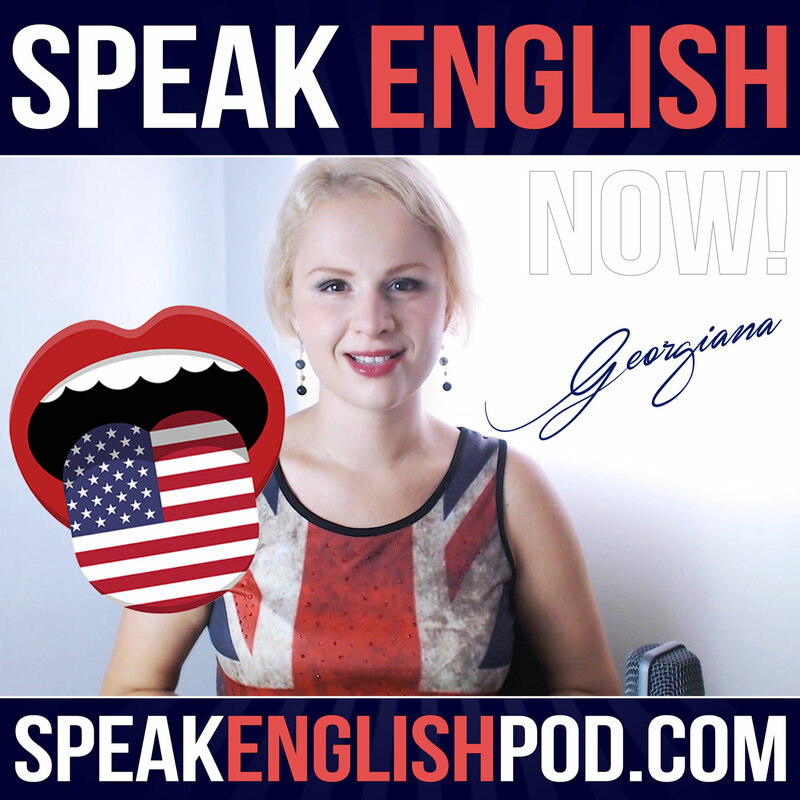 My mission is to help you to speak English fluently. In this episode, let's take a look at the most common New Year's resolutions. Then you will practice your English fluency with a mini-story. Well, first of all... Happy New Year! How time flies! A new year has just begun. It’s curious how the passage of time is perceived according to age. Young people don't think much about it. Middle-aged people think about the things they still want to achieve and realize that they have less and less time. Older people, on the other hand, remember the old days. Don't worry; I won't get too philosophical in this lesson. :) I’ll go ahead and talk about New Year's resolutions. As you know, when a new year comes, we all feel like doing a lot of things. Also, we feel a bit guilty for having celebrated a little too much at Christmas. Therefore in this episode, we will take a look at the most popular New Year's resolutions and practice new vocabulary.